The final specifications and clock speeds of NVIDIA’s upcoming GeForce GTX Titan GK110 behemoth have been confirmed. The GeForce GTX Titan which launches next week would be the fastest single GPU on the planet with performance levels just on par with the GeForce GTX 690 dual chip card. The final specifications of the GeForce GTX Titan show that the GPU consists of 7.1 Billion transistors and 2688 Cuda cores which core frequency maintained at 837 MHz and a 876 MHz boost frequency. The card would have a 6 GB GDDR5 memory clocked at 6 GHz effective frequency running along a 384-bit interface and furthermore would feature a TDP of 250W, just what we have been mentioning in our previous articles. Power would be supplied through a 6 PIn and 8 Pin connector. The GeForce GTX Titan would churn a single precision performance of 4.5 TFlops and 1.3 TFlops double precision. NDA is said to be lifted on 18th February and availability would be made shortly afterwards. As for the pricing, there is still no conformation officially but expect it to be close around the $899 or even $1000 US mark. 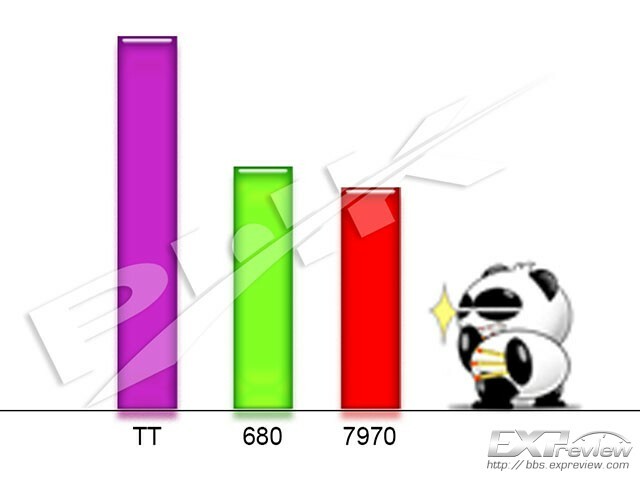 Furthermore, prominent Chinese hardware leaker PHK has released a performance slide (a rather fancy one) which gives us a hint at the performance level of GeForce GTX Titan against the HD 7970 and GTX 680. PHK claims that the HD 7970 GHz can reach on par with the GeForce GTX Titan only if it is clocked at 2 GHz *insert laugh smiley*. A post from Videocardz indicates that waterblocks maker “EK” has already set up a waterblock poll over at their thinkcell domain for the upcoming GeForce GTX Titan. 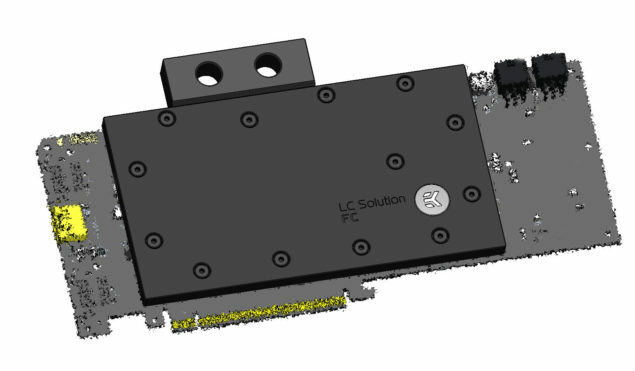 You can vote from three waterblock designs, the one that gets the most votes would end up sitting on top of the GeForce GTX Titan bare PCB for better cooling. Note: The PCB provided by EK Waterblocks is not the GeForce GTX Titan. Nevertheless, next week is pretty interesting on the green side of GPUs.